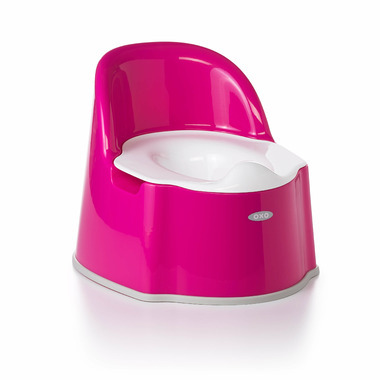 OXO Tot Potty Chair is a seamless seat design. Handles integrated into seat for support and stability. Inner bowl shape designed to minimize splash. Unisex splash guard. Removable inner bowl for quick and easy cleaning. Supportive backrest. Back handle for easy portability. Sturdy, non-slip base. Available in other colours (Grey, White and Teal).